Sometime about 2 p.m. today, my son Jesse will be jumping out of plane. It’s called skydiving. I call it: Why? He doesn’t have my approval but he’s doing it anyway because he’s old enough to vote, old enough to go to war, but not old enough to drink. And not old enough to rent a car, which makes him ask: Why do car companies want to rent cars to people who can drink? 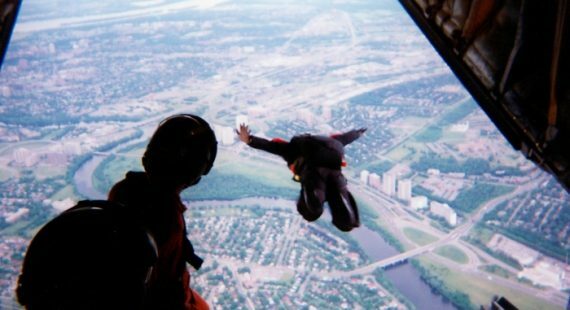 Perhaps being not old enough to drink makes it all that more of a compelling reason for him to rationalize that’s it’s better to skydive at 18 because he’s making a decision on a sober mind. He says he’s doing it to get over his fear of heights. To which, I say: Wouldn’t hypnotism be a safer option? My Beamer was on my bucket list. And besides it’s on his summer bucket list. Yes bucket list. Can an 18-year-old thrill-seeker have a bucket list? Isn’t there some rule against that tucked in Obamacare. Even Jack Nicholson and Morgan Freeman’s characters didn’t do this at age 18 in the 2007 Bucket List flick. In fact, they really didn’t do it. Stunt men did. I’d be happy to pay for a stunt man to do this for Jesse just like the movies. But he’s not interested. It’s just not right. His generation keeps changing the rules. It’s bad enough they don’t read newspapers and instead catch the news on their mobile phones, but someone has to draw the line when they take our bucket lists. What’s left for the 50-and-older crowd? I mean I just started my list. First, I wanted to run a marathon. So I worked myself up to do a 20-mile training session, but as I got back to my car in Baltimore, I was greeted by an angry motorist. Apparently I was taking up precious parking space near Paterson Park. After running 20 miles for the past five hours, I was beat, exhausted and felt as if I was going to die. I just needed a moment to collect myself in my car when the angry man came knocking on my window and asked, “Are you going to move your car? It’s a rush finishing a marathon. I think I was thinking about food when I crossed the line. Don’t know why that is. So he had a point. We found ourselves laughing. But I knocked off the marathon in Baltimore from my bucket list and liked it so much I did the Marine Marathon and some half marathons and dozens of other races. 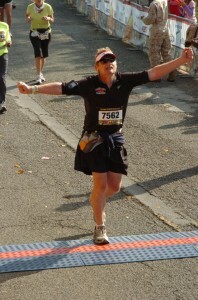 I had been eyeing the Philadelphia marathon, but probably will wait until my wife joins me to do another. Finishing together at the finish line is another bucket list item. 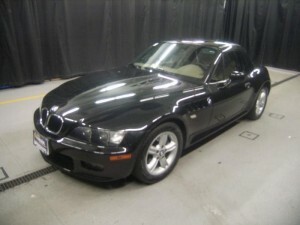 So then I moved on to my next bucket list item – buy my James Bond BMW Z3 convertible. It’s not a mid-life crisis. No I didn’t ask my wife about buying the Beamer. She told me to buy a SUV. I came home with a Beamer. It was on my bucket list. I just brought it home. I tried to check it off on my bucket list, but Jesse would have none of that. “My Dad is having a childhood crisis,” he tells his friends. I can’t even get to put that on my bucket list. It doesn’t count. And my list ended right there and it has since been replaced by the honey-do list. You guys get the picture. You women are getting ideas. Meanwhile, Jesse is rolling right along. He’s already jumped off a 40-foot cliff into the blue waters off of Andros Islands with his Bethany Community church group. He even filmed himself jumping off the cliff with the camera in his hand. He jumped into a mosh pit during a concert. The fans lifted him high above the crowd as they passed him around like a floating ball until he was eventually dropped and stepped on – leading to a concussion. Not sure if that deserves a bucket list check-mark but there ought to be helmet law in mosh pits. He also went to Ocean City, Md., for Senior Week and didn’t get arrested. That’s an accomplishment. Senior Week in Maryland is a ritual for seniors who spend a week out on the beach after they graduate. I’m not sure what he did during Senior Week, but I understand I will be told about that trip in about 50 years. It wouldn’t be correct to say he survived Senior Week. I think it’s more correct to say my wife and I survived it. But Jesse liked Ocean City so much that he decided to make another trip, albeit not by car. He and his friend decided to bike it – all 130 or 180 miles depending on what map you look at. You have to understand, Jesse, who works at Race Pace, is knowledgeable about bikes, so if the bike breaks down, he can fix it. That’s not what I was worried about. It’s riding in 100-degree heat and a storm brewing that got me concerned. Jesse and his friend took off at 5 a.m. in Jessup, Md., the day before Friday’s big storm and hit the beach nearly 14 hours later with a tw0-hour break and pit stops at gas stations for water and refreshments. Check that off his bucket list. But while swimming in the ocean after his recent bike trip, he managed to break a few common-sense rules and chalked up another bucket list item. Apparently he was swimming past the sandbar quite late in the afternoon, and when a large shark brushed his back. The shark took just a little nibble before deciding Jesse was not his type. Jesse swam like Michael Phelps and hit the shore with just a few scrapes and bruises or teeth marks. His friend who was swimming with him, took off as fast as he could. He could tell something wasn’t quite right in the water after looking at Jesse’s expression. Not sure if that shark incident can qualify as a bucket list item, but I’m giving it to him. It’s a story I didn’t need to hear, so it counts in my book. And that brings us back to jumping out of a plane. He’s doing it with a professional so he’ll be hooked up with the pro as they free fall and float to the ground. So if you want to be a risk-taker then I’m for standing outside with my feet on a solid piece of ground or going for a bike ride to my mailbox about 20 feet from my house. I’ll take my chances with that. If he does make a movie, I might not want to watch this one depending on the outcome. I’m sure jumping out of a plane is safe and some of you will tell me that I should do it with him. To which I say: Not happening. But still, can’t he wait another 50 years? UPDATE: Bad weather forced the jump to be postponed. Stay tuned. UPDATE TWO: I bought a Harley. Jesse buys a Yamaha motorcycle and then jumps. I can never win.